Sign up for this infrequent opportunity to achieve one of the main requirements for Level II. 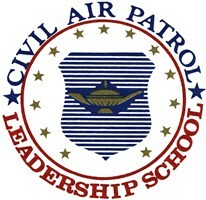 Squadron Leadership School (or SLS) will be held at NV Wing HQ on June 1-2. Check in at 0730. Class starts at 0800 both days. To be eligible to attend you must have Level I completed and you must be assigned to a specialty track. Deadline to sign up is May 17. Fill out the form below to register. Thanks for signing up for SLS! More information will follow as we near the class date.